Two players from the NCU region have been included in the Irish girls' squads announced this week. Jennifer Hanna from Donaghcloney Mill has been included in the Under 19 squad named by the selectors and coached by former Irish international Andrew Poynter. 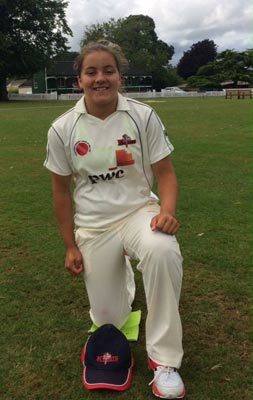 In the Under 15 ranks, Amy Hunter (pictured) of Instonians has been named in the 20. Hunter has been long on the radar of the Irish selectors and is clearly one to watch. The Under 15 side will be coached by the recently retired Clare Shillington, who came originally from Northern Ireland before settling and playing in Leinster.